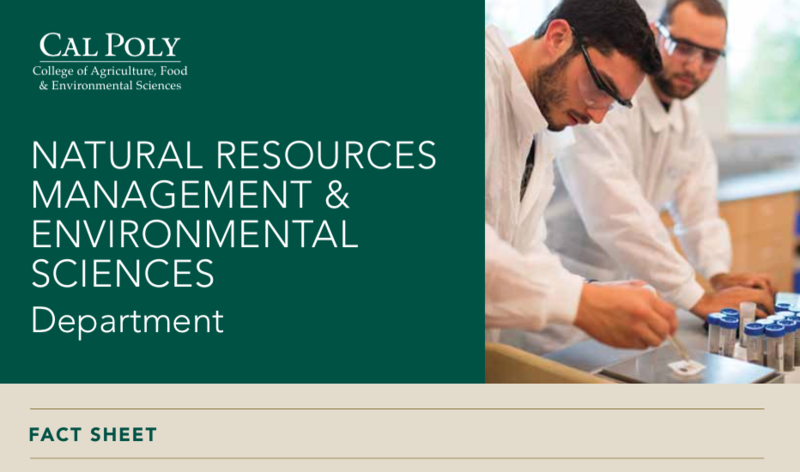 For the past four decades, Cal Poly Natural Resources Management and Environmental Sciences has been preparing passionate leaders who drive change in sustainability and stewardship of the environment. Our graduates specialize in environmental assessment, impact analysis and management of natural resources, and are prepared for a broad range of professional careers in environmental science, forestry and natural resources management. Career pathways range from forester, park administrator, resource planner, watershed manager, hydrologist, fire and fuels manager, GIS specialist, and many other areas. Students at Cal Poly have the unique opportunity to live and learn at our 3,800-acre forest at Swanton Pacific Ranch in Santa Cruz County. Here, students work hand-in-hand with expert faculty as they study the methods of resource conservation applied through sustainable management techniques. The best thing about this program is you can come out and get hands-on experience. You might call it a classroom. I call it a playground.